Immediately after the Second World War and the Berlin airlift of food and supplies to this conquered city in 1947-48, another war began, the Cold War. The geopolitical chess match between Russia and the United States dominated the second half of the 20th century. The Cold War had its hot moments, particularly in Korea and Vietnam, where the United States sought to prevent the anticipated expansion of communism in Southeast Asia. Eclipsed by the Second World War and Vietnam, the Korean War is often called the Forgotten War. it began on June 25, 1950, when North Korean troops crossed the 38th parallel dividing the Korean peninsula. it featured some of the most vicious fights and the worst conditions the soldiers had ever known. But it has also been marked by remarkable achievements. Three years of intense fighting had killed nearly 36,574 Americans and 516 Canadians. Although China continued to supply North Korea with supplies, ammunition and other support, the United States and the United Nations accepted an armistice in 1953, but South Korea refused to sign, leaving two separate Koreas and the war in suspension to this day. One of the Indians who served in the Korean conflict was Ben Nighhorse Campbell, a Cheyenne. Campbell joined the Air Force in 1951 and spent a year in a police unit in Korea. Like other warriors in uniform, he greatly appreciated his military experience. "There was a fellowship that transcends ethnicity when serving your country abroad in times of war." After the war, Campbell devoted his life to judo and politics, retiring in 2004 after serving three terms as a member of the US House of Representatives and then two terms as a US Senator from Colorado. Four Amerindians received the Medal of Honor for heroism in Korea. One was Private First Class Charles George, a North Carolina Cherokee who sacrificed his life by throwing himself on a hand grenade to protect fellow soldiers. Captain Raymond Harvey, a chickasaw, led his squad against the entrenched positions, personally killing several enemies with his rifle and grenades and then, although injured, refusing to be evacuated until his goal was reached. The third medal of honor was presented to Corporal Mitchell Red Cloud Jr., a Wisconsin winnebago and a World War II veteran. Corporal Red Cloud, a member of Company E, 24th Infantry, was on a ridge guarding his company's command post when he exchanged fire with enemy troops who had launched a surprise attack. Although badly injured, Red Cloud squeezed against a tree and continued shooting, which allowed his company to consolidate its position and evacuate the wounded. Corporal Red Cloud received the posthumous medal of honor on July 2, 1951. 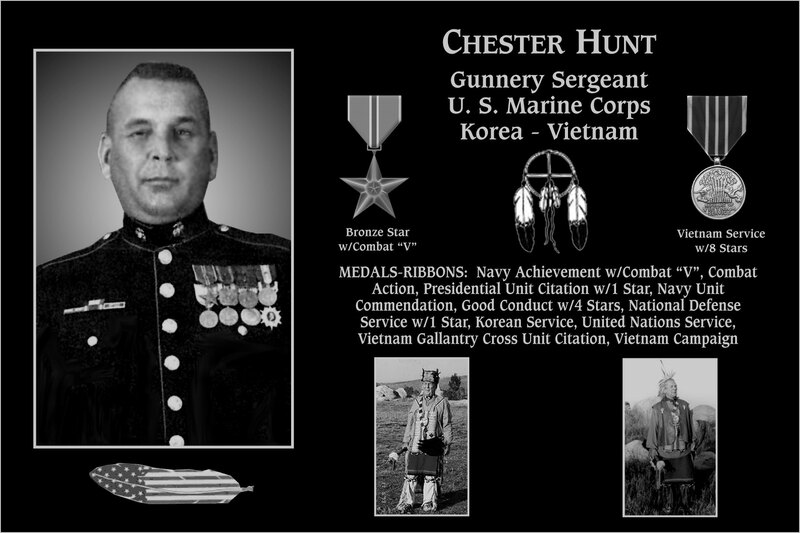 The awarding of a posthumous medal of honor to a fourth hero of the Korean War was authorized by the Congress in 2007. Woodrow Wilson Keeble was recognized long afterwards for his remarkable achievements on the battlefield in the second World War and the Korean War. 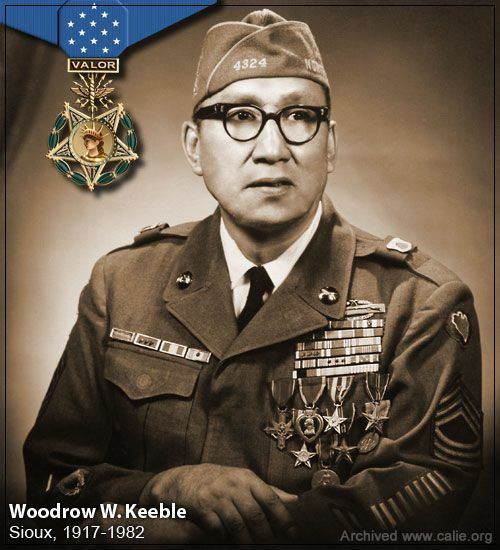 A member of the Sisseton Sisseton tribe of North Dakota, the sergeant keeble received five purple hearts, two bronze stars, a silver star and a distinguished service cross. Twice his men were recommended for the medal of honor, but no action was taken during his life. US senators from northern Dakota and southern Dakota - both states claiming he is a son of their country, because the sisseton reservation straddles the boundaries of both states - wrote legislation authorizing posthumous honor.
. Sergeant Wahkinney, a member of the Oklahoma National Guard, who died in February 2007, was also haunted by his memories. He spoke of a cold so intense that the tanks could cross the big rivers without breaking the ice. He had a fight so brutal that it seemed that no one would come home alive. The young people under his command broke down and cried, sobbing that they would never see the house again. I told them, I told them to pray because the Lord will take care of them. it calmed them for a while, but you had to start all over again the next night. It was scary to be in action, but I tried not to think about it too much. I would focus on what I was supposed to do, which was a 105mm gun. During his three years in Korea with the 158th Field Artillery of the famous Thunderbird Division, Sergeant Wahkinney's unit fired 15,373 shots at the North Korean and Chinese armies. Like other Indian soldiers, he was called chief. The nickname never bothered me, because I saw myself as a warrior fighter for all Indian peoples as well as for my country. The first Canadians to serve in Korea were the crews of the three destroyers who sailed for the theater in July 1950. These three ships, HMC Ships Cayuga , Athabascan and Sioux , were named after Indian tribes but this may have been due more to their membership in the Tribal Destroyer class than to a willingness to pay tribute to the Aboriginal people who fought in the service of the Crown. They were to be followed, later in the war, by the HMCS Nootka , Iroquois , Huron and Haida destroyers. Chief Petty Officer 2nd Class George Edward Jamieson, a member of the Upper Cayuga Band of the Six Nations, was probably the Indian who reached the highest rank in the Canadian Navy during this conflict. In active service for most of the Second World War, he was among the crews of conveyors during the Battle of the Atlantic; remained in the navy after the war, he was the chief instructor of anti-submarine torpedo aboard the HMCS Iroquois when this ship was sent to Korean waters in 1952. North Korea's tiny navy had been destroyed since the beginning of the conflict, and Canadian ships were essentially engaged only in maintaining the blockade of enemy ports, bombarding coastal defenses and railway lines, and to ensure the security of the South Korean islands. The Canadian navy suffered its only damage when the Iroquois was struck by a coastal battery on October 2, 1952, during its second mission. There were two dead, two seriously wounded and eight light wounded, but Jamieson was not hit. Stationed in Halifax in 1955, he was promoted to First Class First Master, which was the highest rank in the Navy among non-commissioned officers. trafficked his birth certificate. Dismissed when the authorities discovered the deception, he enlisted again as a troop boy and served in Canada until the spring of 1946. Eight months later, he enlisted for a third time, spent three years in Germany with the regiment Lord Strathcona's Horse (Royal Canadians) (2nd Armored Regiment) and served in Korea with the "B" squadron of this regiment in 1952. Korea was something like the First World War. Everyone had retreated along the 38th parallel and it looked like the trenches of 1914-1918 ... There was a lot of bombing and many patrols. The infantry was going on patrol and we were providing support, entrenched in our tanks. The shelling was nerve-racking because we could not go anywhere; we could not move our tanks. We took note of the targets during the day and we sprayed them with bombs during the night ... It was a bloody war; we were being shot at, we were being bombarded and some guys were being killed. For example, the war diary of "B" Squadron has these notes dated August 13, 1952: "Today, the Chinese hated tanks in particular. On Hill 159, both Colwill and Falconer were hit by mortar shells up to 105 mm. ... At 11:00 pm, Lieutenant Burch requested that Sergeant Falconer's tank be replaced on Hill 159 with the turret mechanism not functioning. Sergeant RJ Camponi drove a replacement tank before dawn and brought back the damaged tank. 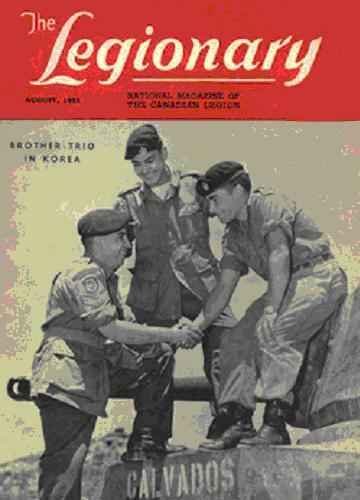 In August 1952, the cover of The Legionary - the Royal Canadian Legion's official monthly magazine - featured a photograph of three Camponi brothers perched on a tank in Korea. For reasons of cultural and linguistic differences, it was particularly difficult for Inuit to find a place in the Forces. Some did, however, succeed, including Eddie Weetaltuk, who came from the East Main River in Quebec, and was raised in boarding schools in northern Quebec and Ontario. After working as a cook and laborer in pulp and paper mills in Timmins, Ontario, and in various forest camps in the northern Ottawa Valley, he enlisted in the Special Force in 1952 as Eddie Vital. He fought in Korea with the PPCLI and, returning to Canada, trained in parachuting and Arctic combat with the Mobile Strike Force - a regular Canadian defense officer. He then served twice in West Germany before leaving the Forces to return to live at Poste-à-la-Baleine in James Bay. Joseph James Clark (Cherokee) was the first Native American to obtain the rank of Admiral. 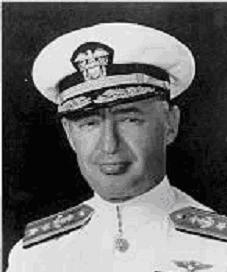 In the Korean War, he was the commander of the seventh fleet. He was also the first Native American to graduate from the US Naval Academy ... in 1917! In January 1951, the various military cemeteries at the rear of the battlefield were regrouped in Tanggok, a suburb of Pusan. The cemetery plot was ceded to the United Nations by the Republic of Korea in recognition of all those who gave their lives to fight an act of aggression and restore peace and freedom. The cemetery is divided into national sections marked with flags and the tombs bear a permanent stele, each with a bronze plaque bearing the name and unit of the deceased. There are 2,300 soldiers buried in the United Nations Memorial Cemetery. Of these, 1,558 are Commonwealth soldiers, 376 of whom are Canadian. "On this memorial are the names of the men of Great Britain, Canada, Australia, New Zealand and South Africa, who died in Korea and whose burial is unknown. They died with men from other countries fighting for the maintenance of the ideals of the United Nations. " Only 17 Canadian Aboriginal soldiers are buried in this cemetery.